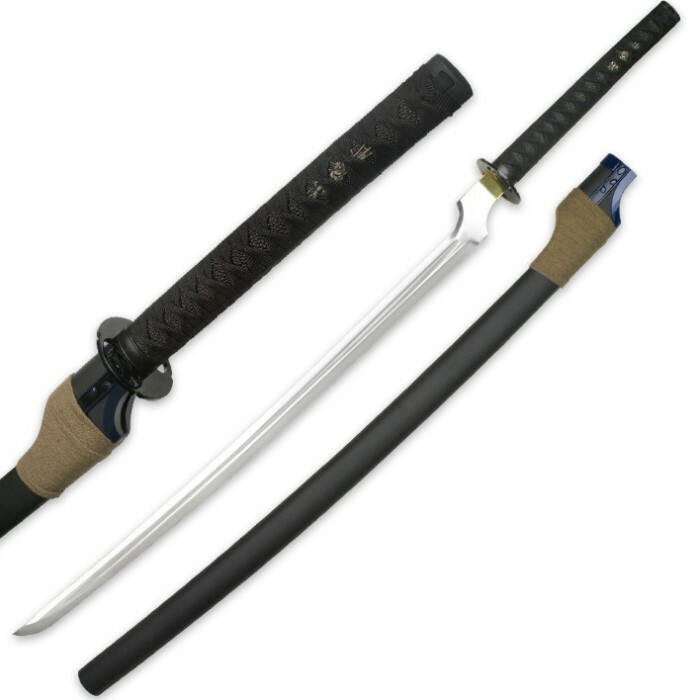 This sword features a polished 32 inch 440 Stainless Steel blade with center blood line. The overall length is 46 inches with 12 inch handle. The scabbard is hardwood with brown cord wrap and blue fittings. The handle is black with cord wrapping and black imitation ray skin. The end result is a very unique sword and concept, unlike anything we have done before!